Everyone who grew up in the ‘80s and ‘90s falls into one of three categories: Those who think the Scary Stories To Tell In The Dark books are the most terrifying collection of words and pictures ever put to paper, those who have never suffered through Scary Stories To Tell In The Dark, and those who are filthy liars. John August, the writer behind Big Fish, is currently working on some sort of big-screen adaptation of the books, but it’s still not clear what—if anything—it will really have to do with them. 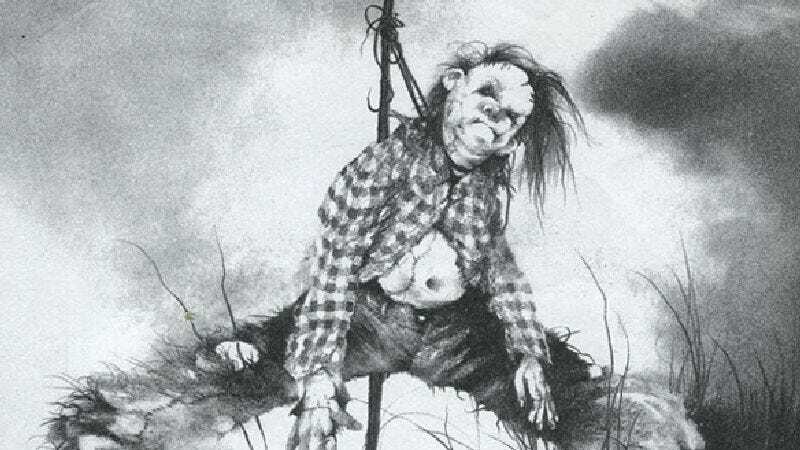 Luckily, a filmmaker named Cody Meirick—a fan of the books who somehow survived reading them—is putting together a movie that will tell the actual story of Scary Stories. Well, sort of. It’s more like the story behind Scary Stories, as Meirick’s project will be a documentary about the books, gothic children’s folklore (as in folklore for children that is gothic, not folklore for the kids with their nails painted black), and the history of censoring literature for children. See, as we’ve mentioned several times, these books are so scary that you might literally die if you read them (it’s a very small possibility, but you never know), so parents used to try as hard as they could to stop kids from experiencing how awesome they are. Meirick has set up an Indiegogo campaign to pay for the documentary, and he’s looking to raise $28,000 by the end of April. It has the standard array of crowdfunding incentives, like a free copy of the film, access to behind-the-scenes information, and “a hearty THANKS,” but you could probably convince Meirick to take the rewards a little further if give him the full $28,000. Maybe he’ll even sneak into your house and inject spider eggs into your cheek, and then you can actually live through one of the stories from the books! Well, not “live,” because you’ll instantly die of fright, but you get it.